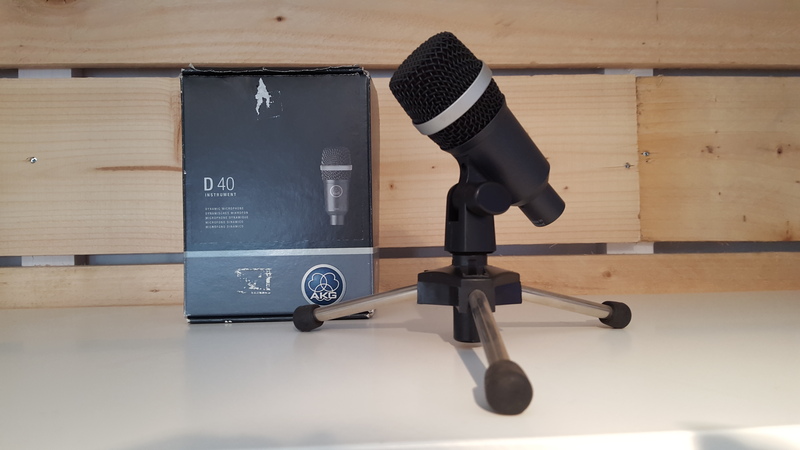 D 40, Dynamic Microphone from AKG. Rather oriented micro percussion, dynamic and small, easy to put in a battery connector for example, I used to snare and toms also very good record, in my opinion, to use preferably on toms, I think on guitar amp it will give good results as well. 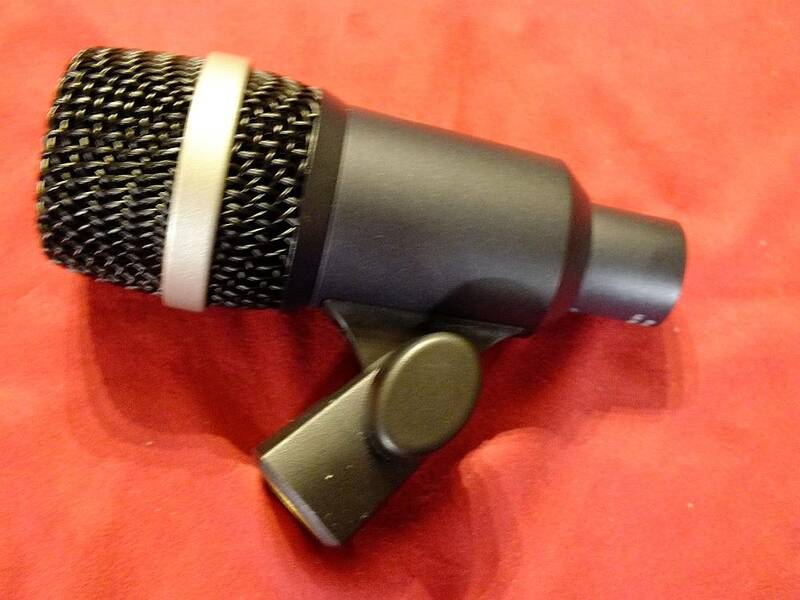 I used two years, combined with other batteries of the same type microphones, no problem, it holds up, it's rugged and ideal directivity for this kind of application, excellent quality / price ratio, investment easy, it fulfills all the conditions I imposed on him, very good choice to start. joman's review (This content has been automatically translated from French)" super micro multi use!" 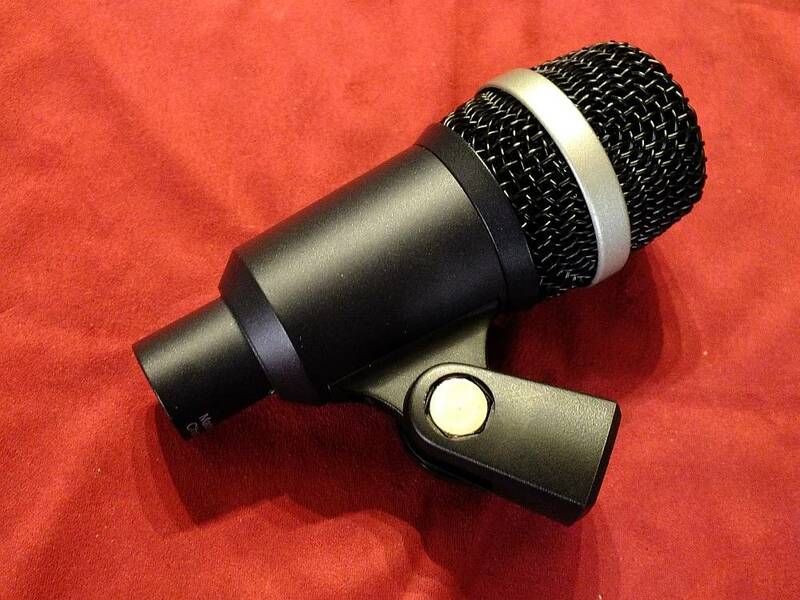 Cardioid Dynamic Microphone for toms originally prvu battery (bought in the battery pack AKG Rhythm Groove). It is small, which is apprciable, the clip provided to attach to the toms / snare is very well Designed and inspires confidence when its durability. I use it for some months in live situation, and I t surprised enjoyable rendering of the natural (dynamic noise) and the fact that large cash trs well pressure. 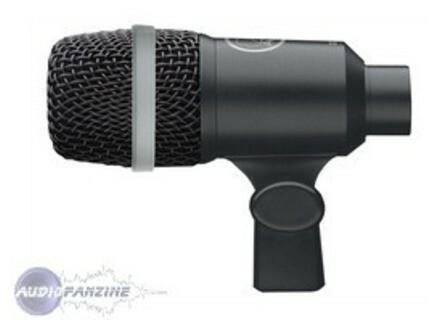 I just couraging a model for my group (funk-jazz, but with good passage distortion), and I used to use this microphone for Toms, snare (John Blackwell in a 13 "by 6 , 5 'mtal), and an amp scratch, all connected to a table Alesis MultiMix 16 FireWire (record tracks spares) + macbook pro. I t then the bluff noise toms trs clean with a good dynamic, not being "poc", but rather to render audio trs Fidler (good Sonor drums, although r rule). With the snare drum, your exact trs trs is good: the snare drum signature is small Diameter (13 "), but deeper (6.5") a classic snare drum, it consquent has a lot of momentum, a dry, while having the trunk. Your exact: no EQ to the mix, it sounded perfectly remains unchanged with the D40 .... amazing! 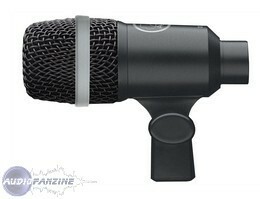 I have not sought DIFFERENT same investments microphones, I just placed "backs" to the hi-hat to avoid excessive repisse. Finally, a good surprise dernire t to resume scratched with an amp. I saw a video on youtube AKG wind MRIT mutli-use of the microphone, my expectancy at aadpass! The amp Fender Hot Rod (lamps) broke down the day before, he had to use a roland cube 30 (it is far from amp legends !)... has felt able to ensure the sound! Against all odds, APRS several tries to find the best placement of the microphone, the sound obtained by clean / distortion / whawha vritablement is excellent! While the recording went live, with little volume in the scratch amp (to avoid the repisse), the sound is extremely dynamic trs Retailer, and ultra clear! Again, I had almost no job to EQ the mix. It seemed to have recorded a good Fender Twin Reverb to burn! I'll add a little, but we all bluffs t, given the amp and recording volume. Everything has to say that I am delighted with this microphone. My exprience rvle also for a good sound, you need good tools well rgls (especially the battery), and find the best placement for the microphone (scratch amp). .. made much of the sound reproduction. This job RALIS upstream associated with D40, the rendering is good trs. Edit comparative ending for a SM57, just to compare. I will also try to take the brass. Do not hesitate to ask me a MP3 if necessary to get an ide rendering (JazzFunk composed mind, which sometimes s'nerve).